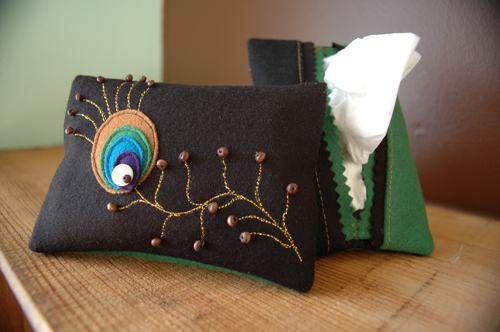 A few people have been writing me about the cute tissue pack that I have from k.autumn from one of my previous posts. These adorable packs are made by my friend Kelly Sperbeck who also owns the cute boutique Relish at Home in Berkeley, CA. 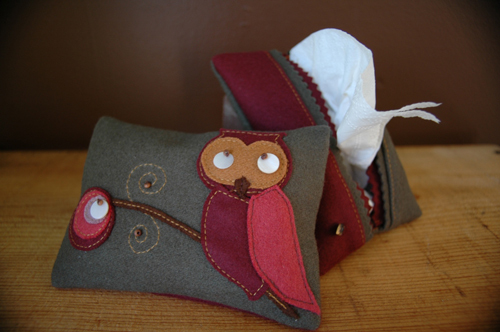 Each handmade tissue pack is made from recycled felt from billiard tables. The designs are so cute that each time you feel yourself up for a sneeze or sniffle, you'll get to whip out your lovely tissue pack from your bag (and be the envy of everyone else). You can choose between the cute owl design or the sleek peacock (sorry the pears are currently sold out!). Each tissue pack is only $20 which also includes a fresh pack of tissues. 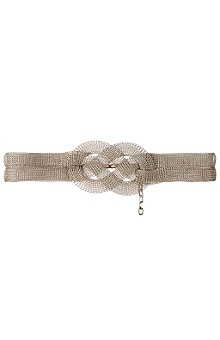 As a special to Coquette readers, Kelly is offering free shipping to any domestic address in the United States. Online shopping isn't up yet on her site, so please email Kelly to place an order! To keep youself occupied until Project Runway Season 3 starts this July (yay! ), you can now get both Season 1 ($39.99) and pre-order Season 2 ($27.99) on DVD. I also still love keeping up reading Tim Gunn's Blog (see his video on "design heros") on the Bravo TV website and of course Blogging Project Runway. Alexander McQueen is taken a nod from other successful designers by creating a new lower-end priced line for the rest of us simply called McQ. 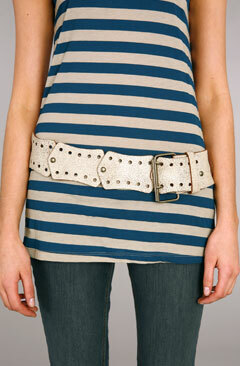 Targeting the "youth" market, the clothes are a mix of indie, edgy, and modern takes on vintage looks. 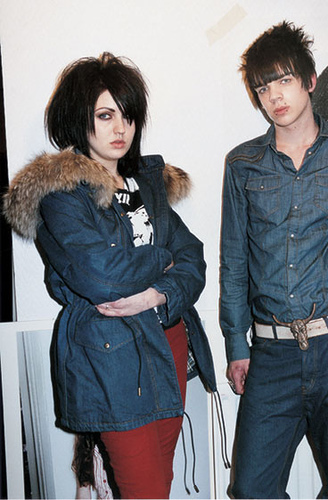 The key pieces to his debut fall 2006 collection are denim and let me tell you, I'm dying for this jean and faux fur hoodie! (via flickr) You can read more about his collection through his interview with the UK's Telegraph. The one piece jean dress with zipper is très chic. Off the shoulder red knit dress. 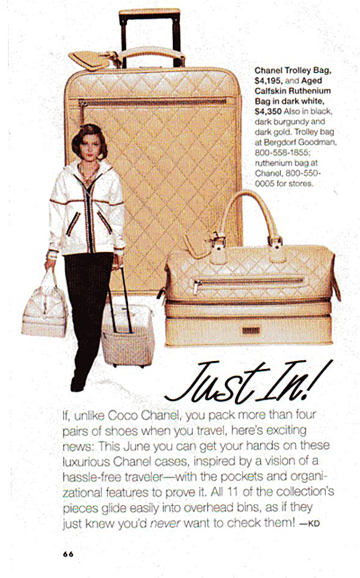 I just read in the new June/July issue of SHOP magazine (they have a blog now) that Chanel will be debuting a line of luggage this June. Luggage and bags with compartments, pockets, and lots of organizational features -- all which fit as carry-on luggage. For some reason, the larger Trolley Bag ($4,195) is somehow cheaper than the hand-held Ruthenium Bag ($4,350). Sigh. 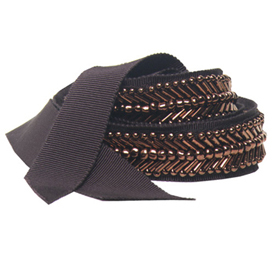 They come in beautiful colors (dark white, black, dark burgundy, and dark gold) and I just love the quilted leather. I can only imagine that having this luggage and traveling to somewhere like Venice would be like traveling to Heaven. Sofia Coppola was in Cannes to show off her new movie "Marie Antoinette". (I can't wait for it!) The movie got some mixed reviews but more importantly, let's look at this modern style icon's fashion choices for her big premiere. Apparently, it was all about ruffles for Sofia Coppola (as well as Kirsten Dunst). I don't know who she is wearing but can I venture to guess Marc Jacobs? I do love her casual ruffled polka dot look she's got going on. Not sure about Kirsten's puffy shirt here. It actually looks better in other pictures with her black pants (but I can't seem to find one I can post that's not a thumbnail). Kirsten looking way too matronly in her full floor length gown and long sleeves. What the? Isn't it hot in Cannes now? But as poofy as Sofia's dress is, she looks really beautiful in it. So it was just a normal Monday night, making dinner and watching a little entertainment gossip on Extra when something caught my ear.... something about the real super skinny jeans. They were reporting at Ron Hermann's (or Fred Segal's I couldn't really hear) in LA showcasing these new wonders in skinny jeans by J Brand (more in this LA Times article). These aren't your regular jeans. Apparently these jeans have some real stretch to them. 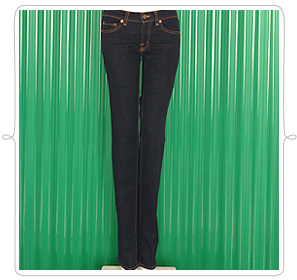 The jeans come in cigarette leg, pencil leg, and the new super skinny leg. Loved by Kate Moss, Angelina Jolie, and now...me!! (Ok I get obsessed easily.) Here's most of the J Brand line via Ron Hermann. I want to try on a pair of these 12" cigarette jeans. I tried on a bunch of sandals and sandal style wedgies last week at Nordstrom. The problem I have sometimes trying on shoes is that my feet are too narrow and skinny, but they are long (size 8). The sandal straps don't quite make the tops of my feet so the whole look doesn't work. I was about to give up on summer sandals this year until I was surfing around on The Budget Fashionista and found her link to Sandals for Under $50 and saw the link to Delia's Lucy Shoe. For $32 it's worth the splurge and I think this style may fit my feet better than the ones with straps. 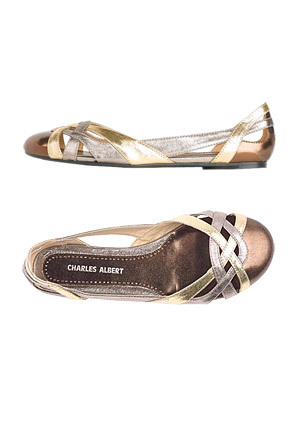 I also am in love with these Veronica Flats in a cute mix of metallic bronze, gold, and silver. 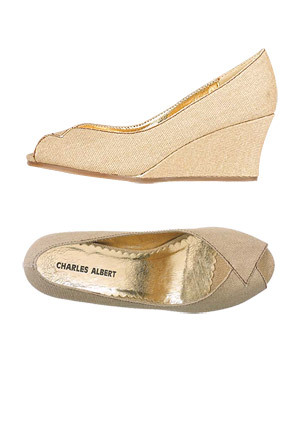 These flats are only $34 bucks so I can get both of these pairs of shoes and not feel guilty. I loved Audrey Tautou so much in the movie Amélie. I'm not so sure about the hoopla around her big budget Hollywood movie The Da Vinci Code but I'll definitely go see it not just because the book was such a page turner, because what the hell, it's almost Summer movie season and I'll go see anything. Amélie's a French Cryptologist? OK! Sounds good to me. I've seen a few of her other french movies and I still can't shake her Amélie character out of my head. Even the movie "A Very Long Engagement" made by the same director of Amélie was just that waaay tooo long and a bit boring (hardly any inkling of romance). But Amélie is IT. I love her look, the style of the movie. Just everything. We have the DVD from France with no subtitles (argh!!). I still can't understand all the conversation because its so fast, but who cares. She's so sweet and cute! But this movie I LOVED. It's filled with a cast of players that were simply, truely entertaining. L'Auberge Espagnole is about a group of international students sharing a flat in Spain. Audrey plays Martine the girlfriend of the frenchman Xavier who moves to study in Spain while finding a new life with a fun group of friends. Apparently there was a sequel to this movie called Les Poupées Russes (The Russian Dolls) but I haven't seen it here in the States yet. We just ordered the French cable channel TV5 Monde so hopefully it will show up on there soon. Updated 5/18: I just found out the sequel "Russian Dolls" opened up in the US May 10th. You can see the trailer in English. I can't find it anywhere near me now but it will be playing somewhere around here by friday's new listings for the wknd! I stumbled upon this page on Kate Spade's website called "what's in my bag?" 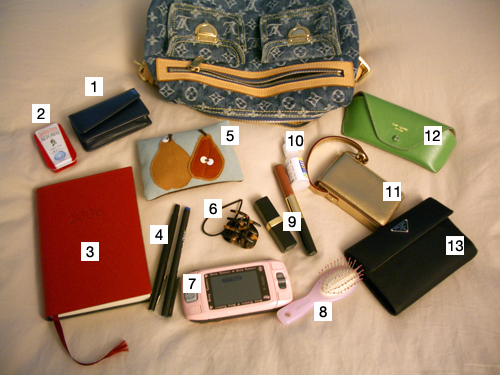 Kate's talking about this new flickr photo pool whatsinmybag that showcases the contents of people's bags from handbags to messenger bags to travel bags. Anyone with a flickr account can upload their own photo. I haven't done *that* yet so I figured I'd share my goods here with my blog friends first. I've been using my LV Denim Baggy PM bag almost everyday since January. It is so sturdy and lightweight, yet it can also surprisingly pack a lot of goodness in it. Perfect for everyday and even going out at night. I don't think I've ever used a nice bag for so long. 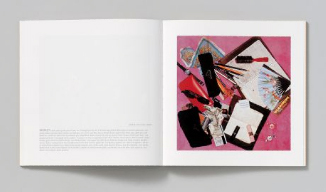 Not sure if any of you remember that Kate Spade came out with a book in 2000 featuring the contents of ladies' handbags called, just that, Contents (Definitely check out this AIGA link about the book). I'm so glad I got it back then because the book is so well made and designed. It's funny she never mentions it on that page but it makes more sense for her reference to the flickr pool. 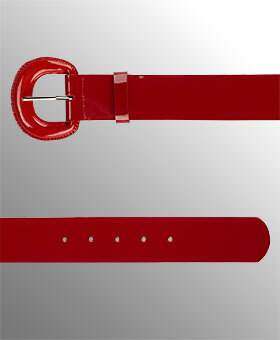 Coquette Things - Belt It! 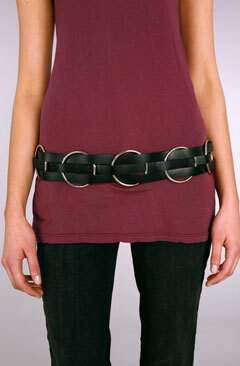 It's all about belts this season and you can wear them extra skinny or extra wide with just about any outfit. 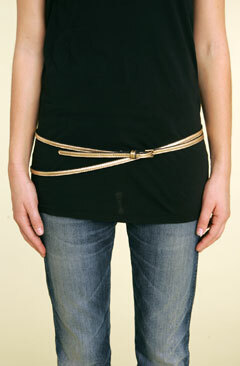 I'm looking to grab a few and there's lots of good choices at Urban Outfitters like this Double Wrap Belt in Gold ($24).